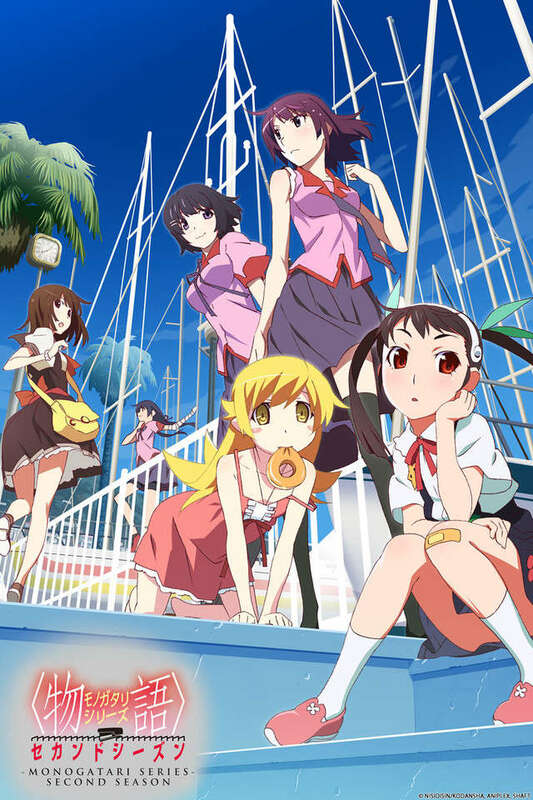 Apparitions, oddities, and gods continue to manifest around Koyomi Araragi and his close-knit group of friends: Tsubasa Hanekawa, the group's modest genius; Shinobu Oshino, the resident doughnut-loving vampire; athletic deviant Suruga Kanbaru; bite-happy spirit Mayoi Hachikuji; Koyomi's cutesy stalker Nadeko Sengoku; and Hitagi Senjogahara, the poignant tsundere. Monogatari Series: Second Season revolves around these individuals and their struggle to overcome the darkness that is rapidly approaching. A new semester has begun and with graduation looming over Araragi, he must quickly decide the paths he will walk, as well as the relationships and friends that he'll save. But as strange events begin to unfold, Araragi is nowhere to be found, and a vicious tiger apparition has appeared in his absence. Hanekawa has become its target, and she must fend for herself—or bow to the creature's perspective on the feebleness of humanity. The files renamed according to the week they aired, with holes for recaps.